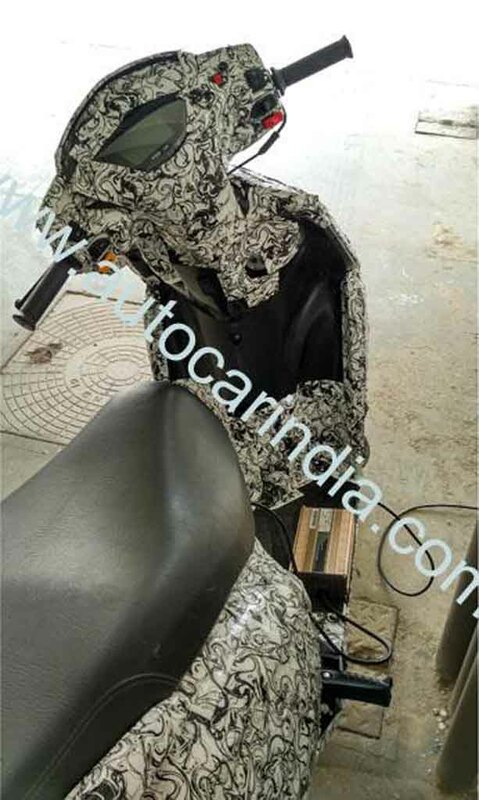 TVS Motor Company’s EV dream is not unknown to us and now a prototype of the first electric scooter from the brand has been spied in Bengaluru. 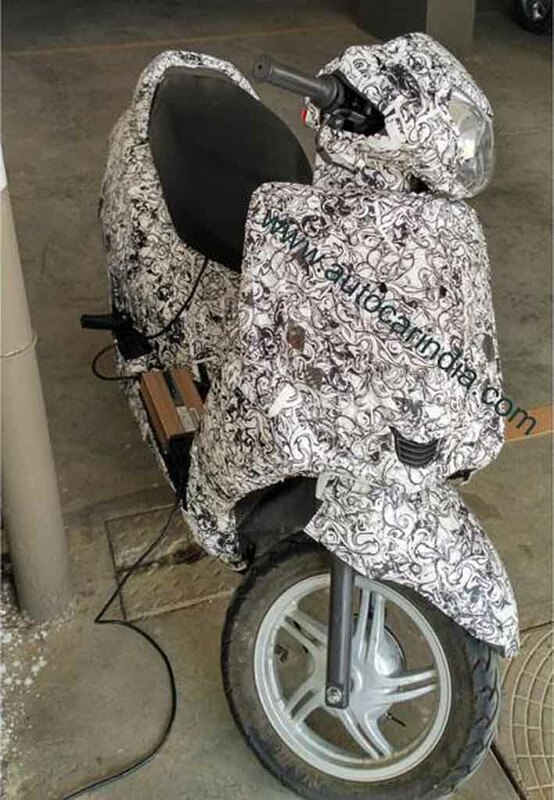 Fully camouflaged, the scooter appears to a full size model and it is expected to be launched in the country sometime in mid-2018. 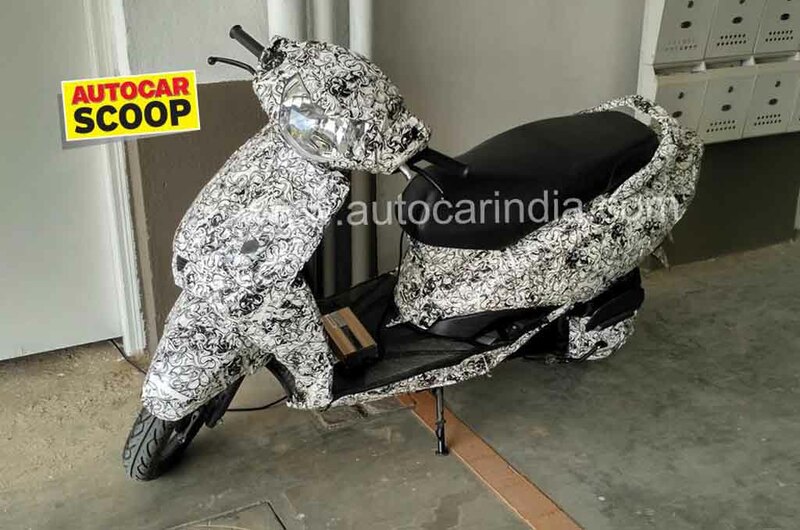 The scooter is likely to share several parts with the popular TVS model Jupiter. At the 2012 and 2014 editions of the Indian Auto Expo, TVS showcased its Qube hybrid scooter concept. The brand has recently patented the IQube hybrid scooter that is based on the Qube concept. This hybrid model is also expected to launch soon. Therefore it is clear that the Hosur-based two-wheeler manufacturer is aggressively working towards introducing hybrid and all-electric scooters in its portfolio. As Indian government aims to introduce all-electric mobility across the country by 2030, TVS is trying to grab a sizeable share in the electric powered two-wheelers segment. Electric powered two-wheelers are not popular in the country market, but with a major brand like TVS rolling out such products could change the scenario. Speaking about the TVS electric scooter, the additional buttons on the handlebar, inbound wiring and a digital instrument cluster are clearly visible. Expect a wide seat to be there offering comfortable riding experience. The scooter is expected to run on alloy wheels and for braking power it would rely on drum brakes on both end. It would get a new monoshock suspension at rear. Expect the battery pack powering the motor to be positioned centrally under the seat. The two-wheeler manufacturer is still tight lipped about the electric scooter. But, we expect to learn more about the power output, charging time and running range of this electric scooter in near future. To make a space amidst the fossil fuel powered scooters, this electric scooter will have to come focusing on these facts.